Only a YES vote will stop the Tories slashing Scotlands budgets. Click to Vote on Scotland's home rule. 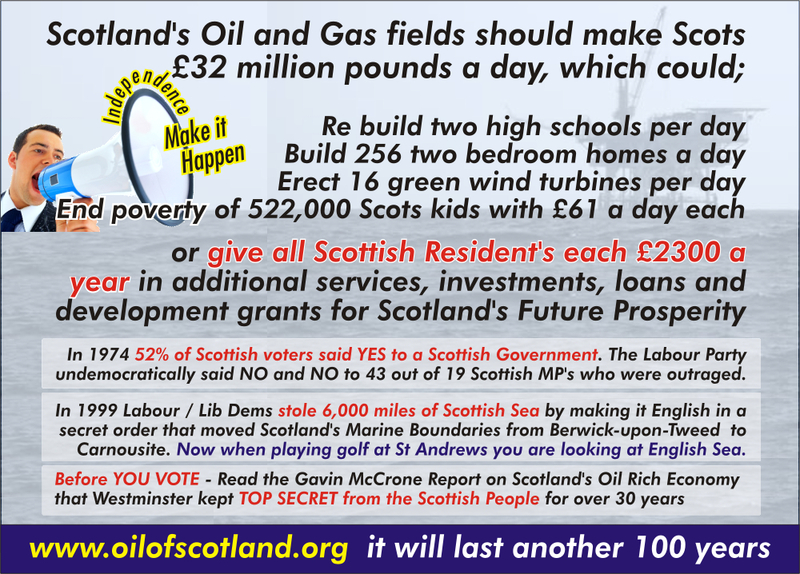 The Top Secret McCrone into the "chronic surplus" of Scotland's economy. In 2009 Scotland's exports rose by 13.8%. The UK's exports rose by a mere 0.05%. This unjust act was secretly passed without the consent of the Scottish People. Now 15% of oil and gas revenues of the Scottish sector of the North Sea which was previously attributed to the Scottish economy, £2.2 Billion in 2008, is now being attributed to the English economy. This amount of money is more than the proposed public sector cuts per year as experts forecast that Westminster will after the Holyrood elections, cut the Scottish budget by £35 Billion over the next 15 years which equate to £2.16 Billion per year. Scotland will give London a minimum of £225 billion over the next 15 years in oil and gas revenues alone. Full story on these Scottish Public Services budget cuts. This will equate to you giving away another £48,000 in your name. 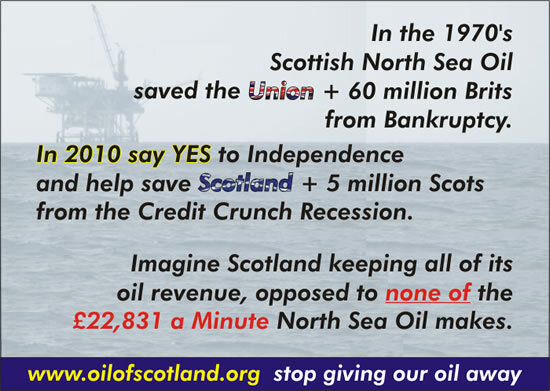 In 2008 Scottish Oil that was worth £22,831 a minute, £32 million a day, £12 billion a year. It is the £1.2 Trillion to come out of the known oil and gas fields of the North Sea that are stopping the UK debt being junked, just like the Greek debt. Read about the latest Oil and Gas Discoveries near Scotland. Westminster wants to keep the American's sweet by spending £115 billion, when they cannot afford to renew Trident. Whilst the Trident submarines based a Faslane have now leaked untreated nuclear waste into the Gareloch over 40 times. If Faslane was a nuclear power plant it would have shut down by SEPA. Westminster also plan to close the submarine base at Plymouth and relocate all the nuclear submarines to Scotland? In the 1979 devolution referendum 52% of voters said YES as did 43 to 19 Scottish MP's, The Labour Party said NO, by imposing an unheard of undemocratic 40% rule ! Scotland is the World's leading producer of wind energy, this energy will bring in more revenue and development opportunities than oil and gas. 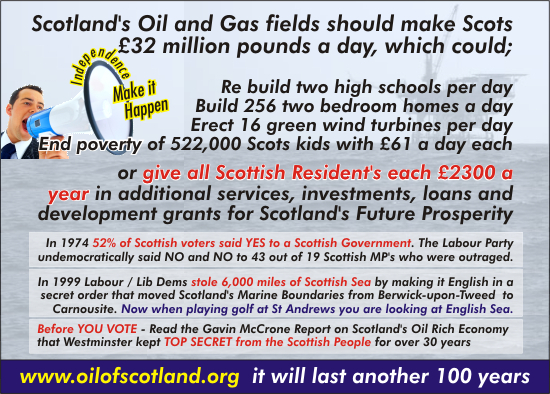 Scotland could build 2 High Schools or 16 wind turbines or 300 stream turbines or 256 two bedroom houses with a single day's Scottish Oil revenue, if the Scot's did not give it ALL TO LONDON. Scotland gets NO Oil Revenues - Scotland is funded only by some population taxes. An Independent Scotland could be free of its £62.5 billion share of Westminster debt in less than 5 years. Scotland like Norway could have built up a £259 Billion sovereign wealth fund retained its manufacturing base and avoided Scotland's £62.5 billion share of the London Government UK's debt of £175 billion. Watch this video on Westminster's black hole. 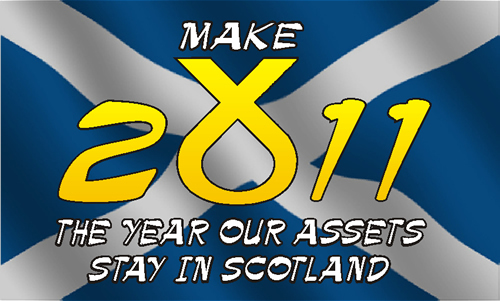 Please support and promote Scottish Independence, join the SNP £1 a month. LATEST NEWS PAGES on the stories behind Scottish and Unionist politics. North Sea Oil will last for another 100 years according to industry analysts. Oil is the UK's Largest Industry landing, 700,000 barrels of oil per day. A new oil and gas field in West Shetland is now to drilled for 176 million barrels. The Union lost every Scottish resident £48,000 over the last 30 years. Staying in the Union could cost every Scottish resident £234,000 each. Scotland is given billions less than documented. 2005 GERs report 2006 GERs report. Scotland could provide enough Green Energy to supply a quarter of Europe. This would attract companies to relocate to Scotland in exchange for low cost energy. 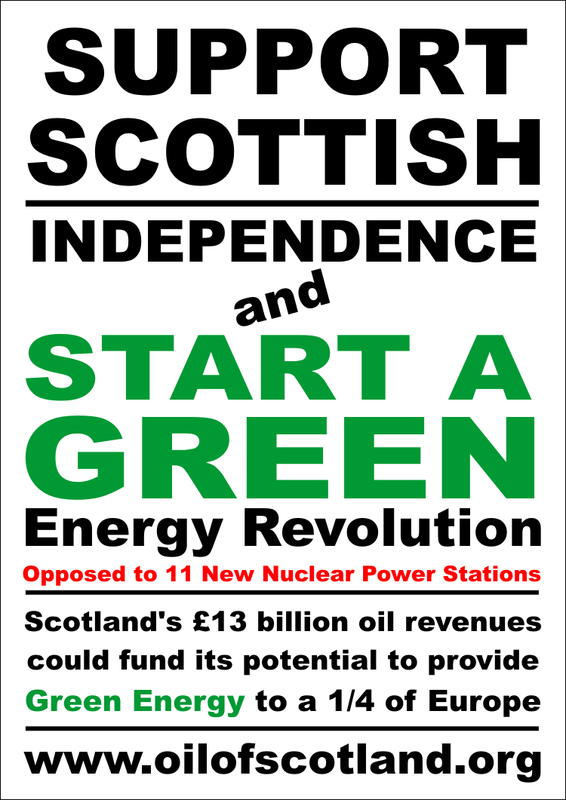 However Westminster is unfairly charging Scotland for supplying green energy! However no members of the SNP Scottish Government were officially allowed to attend the Copenhagen Summit by the biased Labour Party! Labour want to rebuild Scotland's nuclear plants when uranium is unlikely to last 30 years. 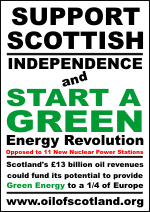 Scotland no longer wants to be a nuclear dustbin for any Countries waste. The banks are now in a position where they could lend to 600 Scottish farmers / land owners money to provide small high stream hydro schemes, that would generate 54% of Scotland's power requirements. Scot's want the leaking nuclear submarines removed from the Clyde. Scot's do not want to be forced to pay the £100 Billion bill for replacing Trident. Baised London Control Politics versus Scottish politics with a Worldwide voice. Read the 4,000 Secret Scottish Government documents release on May 2010. FACTS AND OPINIONS on the stories behind Scottish and Unionist politics. 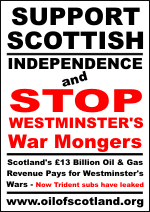 Skint Scots Strike Oil - The only Nation in the World to strike oil and get poorer ! A report by accountancy firm Grant Thornton shows that if an Independent Scotland received only 82.5% of North Sea Oil and Gas revenues Scotland would have a budget surplus of £4.4 billion, with 95% of revenues this would increase to £6.2 billion. It is abundantly clear that Westminster’s financial black hole is being filled with Scotland’s black, black oil. Scottish budget to be cut by £0.5 Billion. While Scotland's North Sea Oil production is to be increased by 20% adding another £2.6 Billion onto revenues that London TAKE AWAY from Scotland, which was £13 Billion in 2007. This year the Scottish Budget of £33.3 Billion is calculated using the Barnet Formula which gives, back a proportion of "non oil & gas taxes" raised in Scotland. In a Independent Scotland the available money for a budget would be a minimum of £49.5 Billion, when Scottish Oil and Gas revenues are added. This figure is not including the massive revenues from Scottish renewable energy, the billions saved from ditching Trident and all the taxes raised in Scotland not just some of them. Scottish Labour Party S...p, should distance themselves from their London Labour Party Shepherds, before the Conservatives get in. The purpose of this web site is not essentially political. The main purpose is to publish the truth, the scandals, the lies and the deceit over Scotland's prospects . "It is not a matter of whether a Westminster political party leans to the left or to the right; it is a matter of; to which country, the Government of this political party belongs. The people of Scotland have to realise the true potential of our wealthy nation. Then decide if Scotland should govern itself and become politically Independent from "out of touch" "in debt" Westminster. After a referendum declaring Scotland's Independence, you could vote to elect a left or right wing Scottish Government." It is time to say bye bye to a devalued Prime Minister of a devalued London Based Government ... as the video below clearly illustrates. UK Government debt has risen to £750 Billion. That equates to every new born child being £17,000 in debt. SNP led the election with 318,360 votes (29%) a 7.8% swing. "It costs the 5 million population of SCOTLAND £32 Million a Day to be in the UK Union - in oil and gas revenues alone"
It would cost an Independent Scotland £3.33 million a day to be in the European Union, based on population. This is less than a tenth of the money we generous Scot's give to London, lock stock and barrel. A sum of money which is in excess of £32 Million a day. It currently costs the entire United Kingdom £40 Million a day to be part of the European Union. After Scotland became Independent there would be a Scottish General Election at this point there is high possibility of Scot's also being asked if the want to remain in the European Union. Iceland is now bankrupt because of reckless banking practices. Why then did the Labour Government suggest that UK Local Councils invest vast sums of public money "offshore" in Icelandic banks. Now Labour have inflicted the Anti-terrorism, Crime and Security Act of 2001 law against the Icelanders. An extract from the Top Secret Mc Crone Report that Westminster does not want you to read. Yes the £250 billion pounds of Scottish oil revenue that has passed the Scottish people by, equates to us each forfeiting £1,628 per annum for the last 30 years totaling £48,000 and if we stay in the Union the Scot's could forfeit another £1.2 trillion. 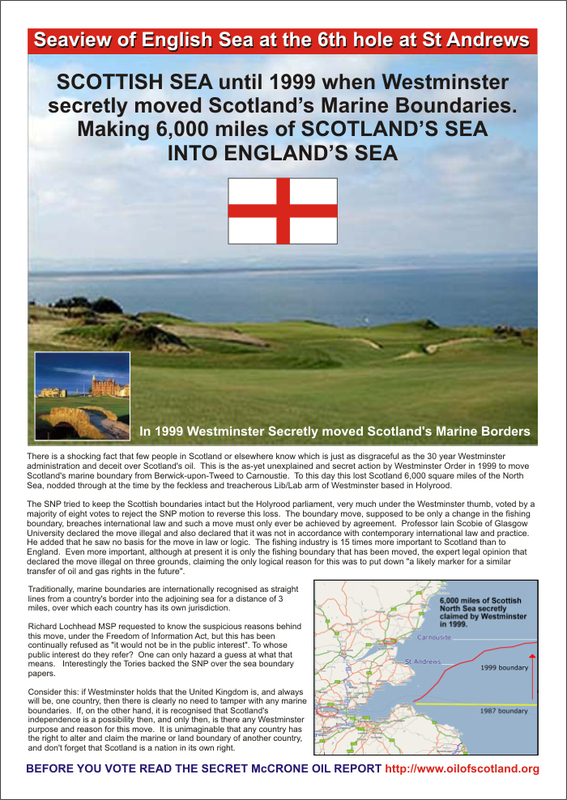 In 1999 Westminster secretly moved Scotland's Marine boundaries from Berwick-upon-Tweed to Carnoustie. 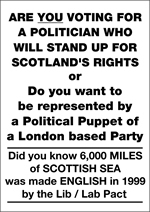 Making 6,000 miles Scottish Sea English. Scottish Sea that contains Scottish oil and gas platforms according to the 1968 UN Recongised Boundaries. Why, so that should Scotland get Independence, England can fight hammer and tongs over this illegal border while running its own pipeline from the Scottish oil and gas platforms, sitting in English waters direct to Berwick-up-on-Tweed by passing Scotland's two oil refineries! Scotland's deficit (debt) has got bigger although oil revenue would have paid it off several hundred times over. Westminster have manipulated the figures in their GERS report 2005 - 2006 give Scotland significantly less than it's citizens are entitled to. Westminster loyal politicians have lied about the oil, badly managed Scotland and have behaved in a shocking manner. Please commit to distributing these leaflets in your Workplace, College, University or School and will supply these leaflets to you! click leaflet for bigger image - send us an email committing to distributing these leaflets in Colleges and Universities. Click here to send your friends an e-mail that contains links to the Secrets and Scandals @ Rip of Scotland that are exposed on this web site. And help make Scots realise the oil revenues that Scotland's North Sea Oil & Gas Rigs generate for Westminster's black hole would be better spend in Scotland. Express your opinions on Newspaper blogs and mention this site or its links. Help this site get a better ranking by including a link on your web site. 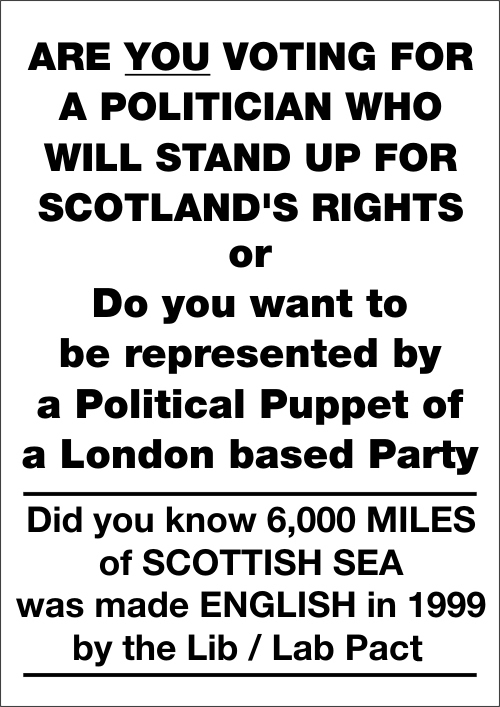 Write to your MP or SMP complaining about the treatment of the Scottish. Print and display as many of these notice board posters as you can. Send e-mails to as many e-mail addresses you can. Send text messages to as many mobile numbers you have. Display banners in a prominent place, so it they will be noticed. New figures show the UK Treasury will take in an additional £4 billion in revenues this year due to rising oil and gas prices. In 2009 the Scottish Government were given a £33 Billion Pound Budget for Scotland. If Scotland was an Independent Nation that budget would be just over a third more as Scottish Oil and Gas Revenues would add another £12 - £14 Billion Pounds to that Budget. The main problem with the Union is Scotland's representation in Westminster until 2005 there was 72 Scottish MP's until Labour re wrote Scotland's political map and reduced Scotland's representation by 13 to 59 MP's. There were a total of 529 MP's representing the English constituencies this has now risen to 533 English MP's. Therefore if every Scottish MP was against an anti Scottish policy they would be beaten in a ratio of 9 to 1. If the 58 Northern Irish and Welsh MP's sided with English MP's the ratio of the defeat could be 11 to 1. For this reason alone Political Independence should be a high priority for Scots, the Welsh and the Northern Irish, as the undemocratic powers in Westminster cannot be trusted. As this web site aims to prove. Did Gordon Brown harm HBOS as it is Scotland's Bank. 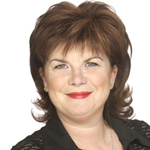 Would an Independent Scotland have let her banks go vitually bankcrupt ? If Scotland had become Independent shorty after the rigged 1979 devolution referendum as the Westminster imposed an unheard of undemocratic 40% rule ! 52% of Scottish voters said YES to devolution. The Labour Party said NO. Then 43 Scottish MP's tried to repeal the decision leaving 19 abstaining, again the Labour Party undemocratically said No. If Scotland had got this devolved Government over 30 years ago. Then the Scottish Government may have a bigger say in Scotland's second biggest economy contributor Banking. Oil being the biggest economy contributor having generated £270 + billion for London to waste on botch ups, 3 Wars, 1 illegal War, Trident etc. The Government of Scotland would have had the interest of protection its second biggest industry and may not have allowed its banks to be deregulated. They would also have not reason to sell the gold standard for a shockingly low amount of money. They may also have split investment and retail banking. Why because "The of Country of Scotland would tend to be in chronic surplus to a quite an embarrassing degree and its currency would become the hardest in Europe"
Extract from the "Top Secret Mc Crone Report" that Westminster accidentally let get into the public domain. Read this report here. The problems caused by greed in the banking industry were predicted well before the recent credit crunch. The tax payer has been forced to bail out banks in Countries that the Government has not acted fast and effectively enough. As RBS and HBOS are the largest banks in the United Kingdom it is obvious that the lack of Governmental regulations within the banking industry would hit these banks hardest. As soon as HBOS shares dipped Gordon Brown announced a merger with Lloyds TSB making a super bank, a merger that breaks the merger regulations. The announcement of this possible merger caused shares in both banks to tumble as money markets do not want a monopoly in UK banking. The question is, did Gordon Brown deliberately for political reasons announce a merger that would cripple HBOS, Scotland's only independent bank, to make it disappear so that Scot's may question Independence. A leading Professor of Economics, Andrew Hughes Hallett, hassensationally confirmed that Scotland has been subsidising the UK treasury in London for years and that the Calman Commission recommendations are unworkable and potentially damaging. Is it time Scotland's MP's left Westminster and it's broken U.K. Yes it is back to the 1970's or worse for the Labour Party. However back in the 1970's Britain was saved by the Scot's discovering Scotland's North Sea Oil fields. The true potential of this discovery was examined in a 1974 by a Conservative commissioned report into Scotland's Economy. This report was kept Secret from the Scottish People for over 30 years by the Governments of Westminster and the Scottish Labour Party when Scotland got the devolved government. A devolved Scottish Government that 52% of Scot voters had voted for in 1974 but Labour Undemocratically said NO. 40 Years later we hope the tiny population of Scotland (5 million) realise that the 12 Billion North Sea Oil revenues can save Scotland from economic melt down and the onslaught of the Cruel Conservatives. When the Scots get their act together and YES to Independence in 2010. - Within 6 Months Scotland would have a general election where one could vote for their usual Party. Did you know?, that you can help the Scottish public realise they must control their destiny for the good of Scotland and the World! This Westminster Government does everything in its power to stop the positive progress the Scottish Government is making with their sensible environmental policies and the policies for the man in the street and not the Lords and super rich. 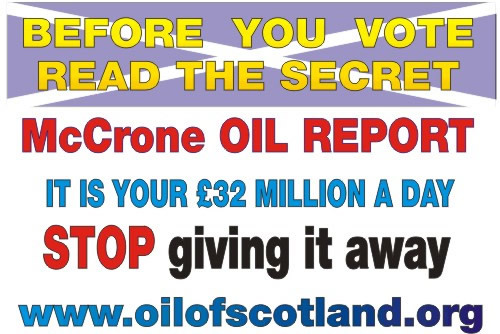 Keeping a report into Scotland's Oil Rich Economy TOP SECRET for over 30 years, until accidentally made public. Un democratically saying NO when 52% of Scot's Voters said YES to a devolved Government back in 1979. Moving Scotland's Marine Borders from Berwick-upon-Tweed to Carnoustie in 1999. Illegally making 6000 miles of Scotland's water English! So now when you play golf at St Andrews and look way out to sea, you are looking at English Waters!!! Culling 13 Scottish MP's in 2005 taking the number of Scottish MP's from 72 to 59 while increasing the number of English MP's from 529 to 533. The Scottish Government having full control of its Green Energy production even on a local level and not be railed roaded by Westminster and their flawed nuclear power station plans as highlighted in the Calman report. Not having nuclear weapons and radioactive waste from London and foreign Countries dumped in Scotland. The potential to be partners in the North Sea with Norway one of the most solvent Nations in Europe. Opening the door to rebuilding Scotland's heavy industries. Scottish politicians and through them the population having an effective say in European, World and Westminster Politics. Please ask your friends to visit www.oilofscotland.org to view the disgraceful attitude of this Westminster administration and its deceit over Scotland’s oil. If you live in England the content in this site is not about you. It is about the shocking manner in which Westminster has and is treating Scotland and the Scottish people. For Example. Would you be annoyed if the French used the European Union to secretly claim 6,000 miles of the English Channel? How would you feel if the European Union commissioned a report on England's economy and future and kept it Secret for 30 years? What would you say if 52% of the English voters said YES and the E.U. un-democratically said NO? The Unionist Challenge Q1, Do you vote Green, Conservative, Labour, Socialist or Liberal. You still can in an Independent Scotland. But only SNP can stop you getting robbed by Westminster. Q2. Have you ever seen the English commissioned secret reports on your Future ! Q3. 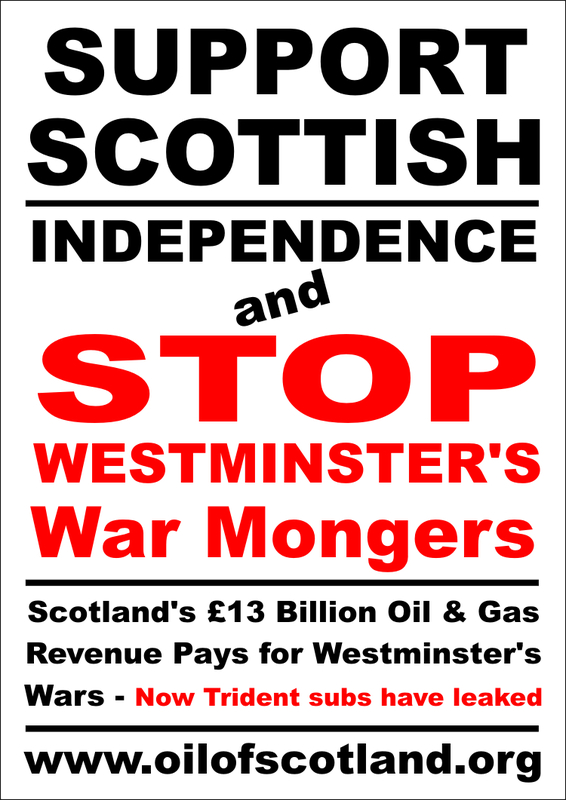 Scotland is the only Nation to strike oil and not become wealthier. Q4. Would the English not benefit from an English Parliament for them ? Q5. Did you know that Scotland should have the third wealthiest economy in Europe? Q6. If the oil ran out do you think the Union would dump Scotland Q7. Did you know that there are massive oil fields in the English Channel Q8. Westminster would still be able to make Billions at the petrol pumps, loosing only a proportion of wealth Q9. Does you Homeland not deserve to be a Nation Again! and not a County of England? Q10. Would Westminster leave the European Union if the French in secret made 6,000 miles of the English Channel French? Q11. The monarchy will not be effected as the Queen is the Queen of Scotland therefore the Royal Mail etc could also remain. 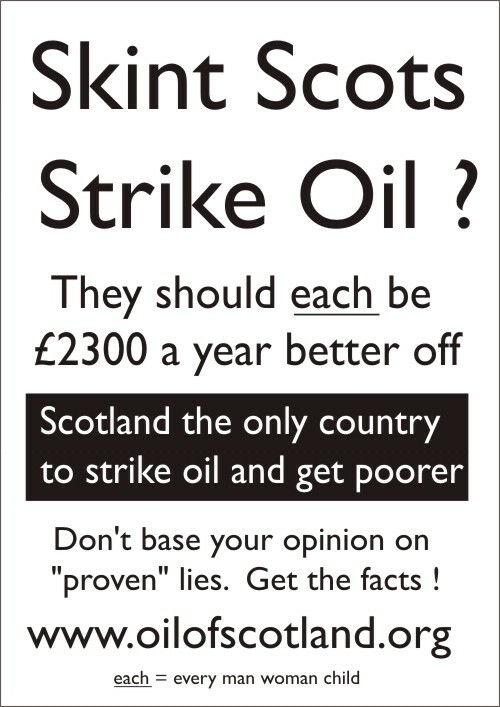 "SKINT SCOT'S STRIKE OIL. Scotland the only Country to strike oil and get poorer. - Scotland could have been Europe's Third Wealthiest Nation. WRITE TO YOUR MP or SMP and ask them for a Referendum on Independence and complain about Westminster's treatment of Scotland. The figures on this site are based total North Sea oil revenues, quotes and where possible official statistics.